In the early 2000’s, French exercise physiologist Veronique Billat did some interesting research on VO2max training—that is, exercise at or near the intensity level at which an athlete consumes oxygen at the highest rate he or she is capable of. She was particularly interested in identifying workout formats that maximized exposure to this intensity, her logic being that more time at VO2max within a single session would translate into a stronger training effect. Billat knew from the outset that an interval format would be best. The typical trained athlete can hold VO2max pace or power for about eight minutes. So a workout that entailed one sustained effort to exhaustion at VO2max pace or power would provide only about eight minutes of exposure to this intensity. But by breaking up the work at VO2max into shorter intervals separated by recovery periods, athletes can do more total work at this intensity. In the process of testing and comparing different interval formats, Billat learned and took advantage of the fact that there is a lag between the time an athlete slows down from VO2max pace or power and the time his or her rate of oxygen consumption drops below maximum. The end result was a novel interval workout format that became known as Billat’s 30-30, in which 30-second efforts at VO2max pace/power are interspersed with 30-second active recoveries. The genius of this design is that, because the hard efforts are so short, the athlete can do a lot of them before reaching a high level of fatigue; yet because the active recovery periods are equally short, oxygen consumption remains consistently elevated. Subsequent research by Stephen Seiler, however, showed that time at VO2max is not the only thing that matters in VO2max workout design. Specifically, he showed that longer intervals are required to maximize cardiac strain (i.e., to elicit peak heart rates) and the resulting benefits. That’s why the Anaerobic Interval workouts for cycling and running that David Warden and I use in our 80/20 Triathlon system feature 2.5-minute intervals at or near VO2max intensity, each followed by a 5-minute active recovery. These intervals are long enough to induce significantly greater cardiac strain than do Billat’s 30-second intervals. True, the 5-minute active recoveries between intervals mean less total time at VO2max, but athletes still get the benefit of 20 to 30 seconds of lag coming off each interval. In this way, 80/20 Anaerobic Intervals offer the best of both worlds. The specific benefits of Anaerobic Intervals are several. For starters, they increase aerobic capacity, or maximal oxygen consumption. At the same time, they increase the velocity or power output at which VO2max occurs. Intervals performed at an intensity that elicits VO2max are also proven to be more effective at improving overall movement economy than are either slower or faster intervals. 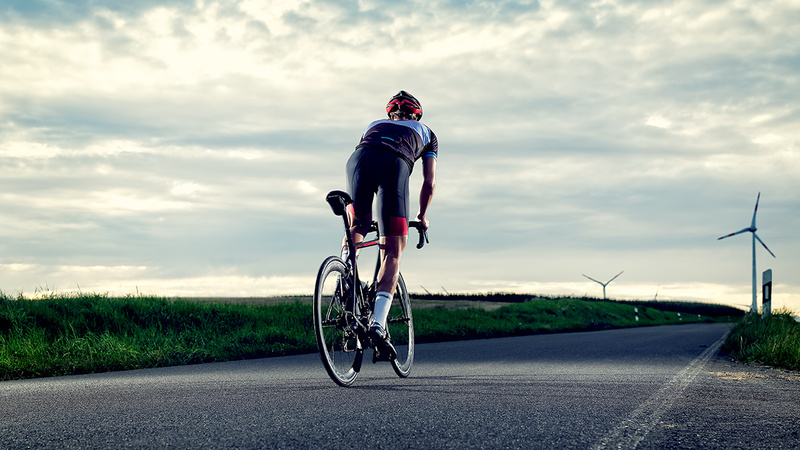 And finally, because they are quite challenging, our Anaerobic Intervals enhance effort tolerance, an underappreciated contributor to endurance performance. Because they are not highly specific to race intensity, Anaerobic Intervals should be emphasized in the middle portion of the training cycle, when you’re fit enough to handle them but before your focus shifts toward more race-specific work. Short-course triathletes can and should rely on them a bit more than long-course racers. Want to try them? There are two ways to do so. One is to follow a training plan chosen from our new book, 80/20 Triathlon, or from our suite of 80/20 Triathlon training plans available on TrainingPeaks. Alternatively, if you own a Garmin device compatible with the .FIT format, you can download Anaerobic Intervals workouts individually from our free 80/20 Workout Library.